Instagram is a service that is proving to be a great motivator to take multiple creative photos every day. Since other Instagram users will see the images right away and are able to comment, the images have to be what I think is worthy of being posted. 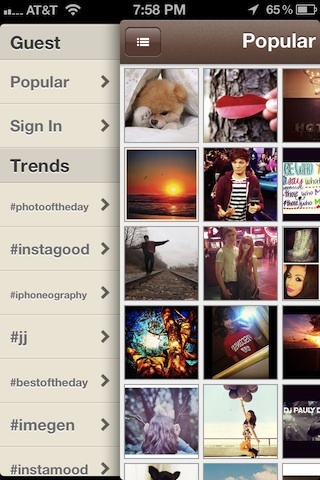 If your a fan of Instagram too, you may be interested in a fun ‘free’ Instagram photo viewer app called Gramory. 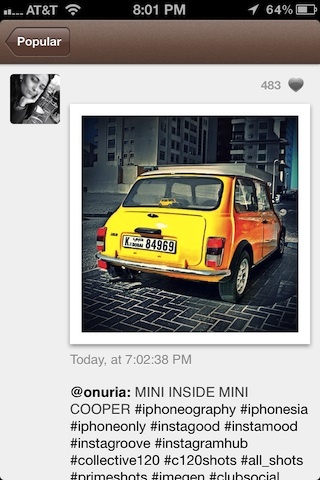 Launching Gramory gives you a list of photo groupings found on Instagram. Logging into your account is optional, needed if you want to view what the people you follow are posting. 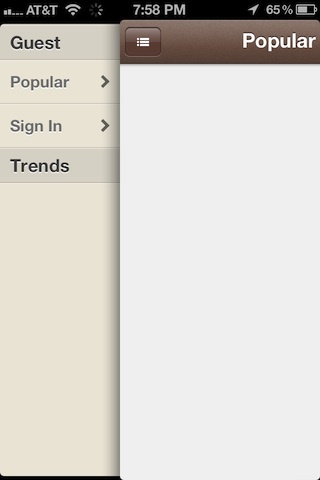 Otherwise, you can choose the many options down the left for the window on the right to fill up with images. When Gramory populates the pictures in the tagged group you chose, you can slide the box on the right over to the left to take up the full screen. The list of photos showing can be swept through (up/down) with the images loading very quickly. Choosing a image results in view of the image, who posted it, and the comments made by others. As a quick reference, below is a view of the exact same image/person via Instagram. The image is locked but you can tap on people’s names to see more images associated with that posting person. 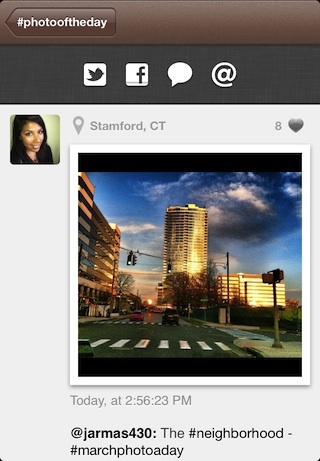 Gramory is more about quick access to groups of photos and viewing images/comments. 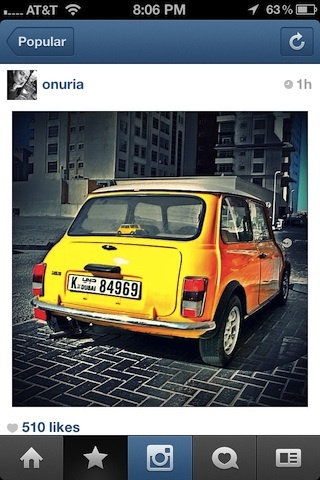 While non of the normal selectable areas available in the Instagram work. With Gramory, you can tap/hold to get to the options to copy or ‘open in’ other apps you have on your iPhone. UPDATE! – Missed a feature! When viewing a picture in Gramory, pull it down to expose share options: Tweet or post to Facebook, comment and email!